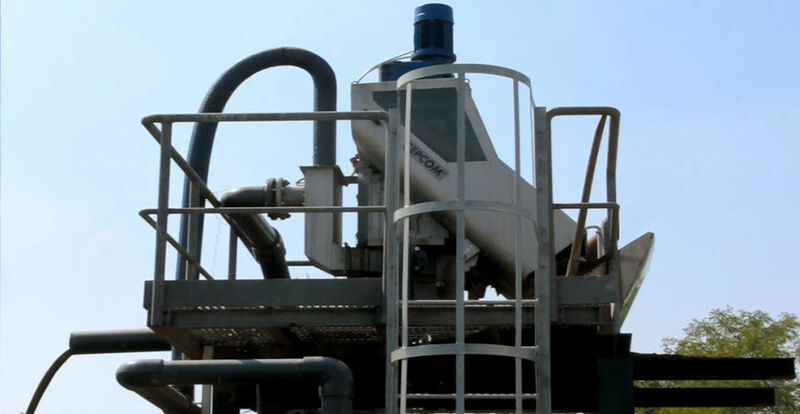 The SEPCOM 0150V is a solids-liquid screw press separator. The feeding section is provided with a compensator tank and overflow outlet. It is designed to enable the material to directly flow into the separation module. The inlet is positioned at the bottom side of the machine. 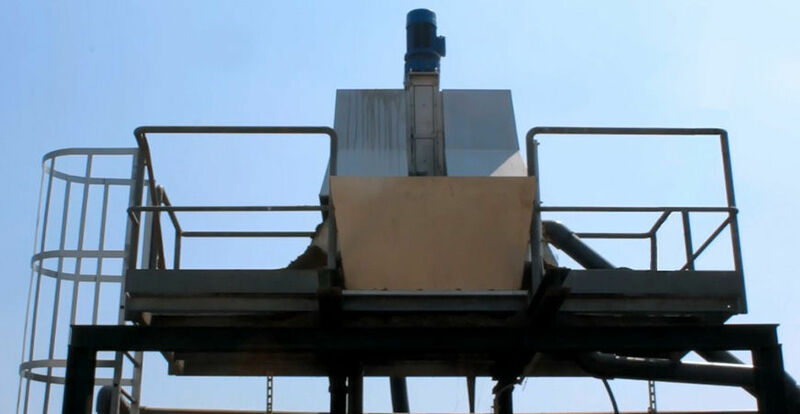 The separation and conveying section consists of two vertical contra-rotating conveyor screws inside a screen which lets the liquid phase pass while the conveyor screws lift the solid phase up into the compacting module. 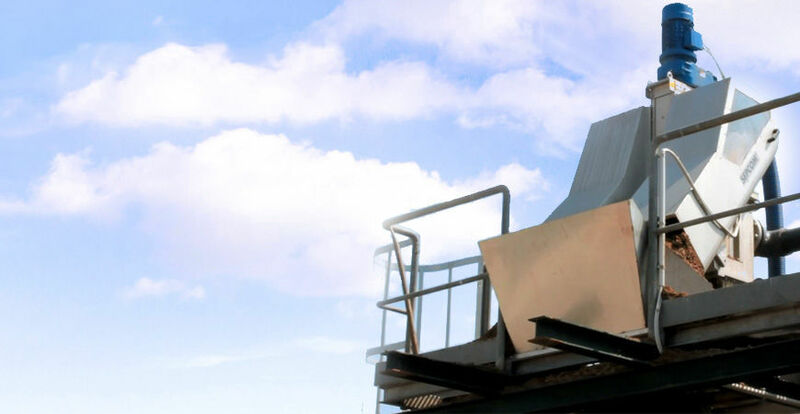 The compacting module consists of a counter-pressure diaphragm that compacts the solid material which is then discharged through two special chutes.